It’s an exciting time this month for Ditch or Date. We have expanded into 3 cities Huddersfield, Belfast and York so are really looking forward to putting on our monthly events in these 3 busy places for single professionals. York is such an historical and vibrant place and we are really lucky to have secured the Pitcher and Piano there with its’ fabulous views over the river. The venue have allowed us sole use of the private upstairs area so what a perfect evening to sit, relax and admire the views of the riverside and surrounding city by night. 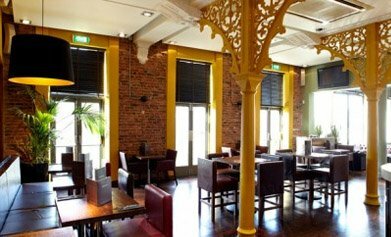 York is our 15th city that we are expanding into and we can’t wait to start putting on regular events here, especially since we have had many emails and phone calls from singles in the city who were wanting to come speed dating in York. The venue are really looking forward to hosting our events and are very keen to be a part of this – one of their managers will be hosting for us so she can’t wait! There are so many singles in York who, with our help will be given the opportunity to meet single people of their preferred age as we run various age grouped events – catering for all – so look out York here we come! Our first event will be on 14th February - how lovely to tell people you met your soul mate on Valentine’s night! Brill, I really like the Pitcher n piano too its got a great feel.